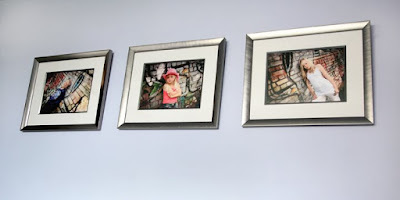 I like to create collections that can be hung together to create more of a focal point in a room. 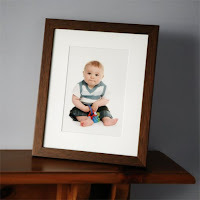 This is also a good way of getting the best photo of each of child rather than trying to choose one group where they might not all be looking their best. This is particularly useful with very young children or even older children who can't all make it to a sitting at the same time. Canvas wraps have become quite popular over the years. 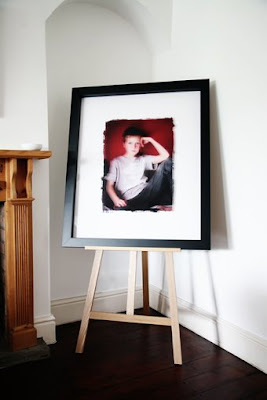 We believe that we've sourced ours from one of the best canvas printers on the market. 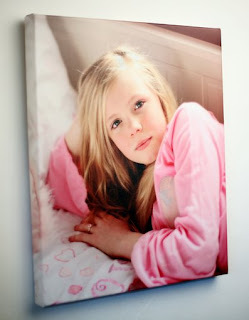 The finish on our canvases is top quality in all ways. The wrap is very tight, the colours are vibrant, the image is sharp and the heat seal leaves it resistant to scratches and fading. Each canvas is wrapped around a 2" frame making it look so much more professional than some canvases on the market today. Finally, here is my favorite of all our products on offer, our acrylics range. This is something I have wanted to be able to create since my darkroom days when I first learned of liquid emulsion that could be painted onto various services and exposed much like paper. Well now I don't have to. I have a supplier who will print directly onto acrylic for me. This is very different to most acylic suppliers who print onto paper and then adhere it to the acrylic or sandwich it between two pieces of acrylic. The technique I use is much more eye catching and unique and truly does become a work of art rather than just a photograph. We offer two variations of our acrylic. The first is as you see it above. In this piece, I have used the acrylic print instead of glass in my frame. I choose a deep, very chunky frame so that the acrylic can sit about an inch above the mount board creating interesting shadows beneath. Everytime someone new sees this piece they have to walk up to it to see what it is because it is like nothing they have seen before. The second option is a standalone acrlyic that is mounted directly to the wall using 4 fixings, one in each corner. The wall then becomes the frame. I like them both but haven't yet at the chance to create a sample of the this second option. I hope to do that soon though. Portrait albums are something else we have started to offer. I don't yet have a photograph of one but will do soon as I have just taken another order for one and this time I will remember to photograph it before giving it to my client. I'm also working on a sample to show clients so hopefully will have that soon too. I hope you like what we have to offer. We are always on the lookout for new products and plan to add a couple more products over the next couple of months. I've already spotted something new I quite like just recently and hope to find a good use for it soon. So watch this space.